The McLeod Foundation Evening of Hope Cancer Benefit has excelled at sharing the message of HOPE to sold-out audiences, while raising record breaking funds to benefit cancer patients through the HOPE (Helping Oncology Patients Everyday) Fund. The HOPE Fund, established in 2014, provides direct patient support for those undergoing cancer treatment. An Evening of Hope event sponsors, attendees and contributors know that their donations help patients who are struggling with financial barriers to care as well as providing resources for every patient on their tenuous cancer journey. Often, the motivation for this support is very personal. 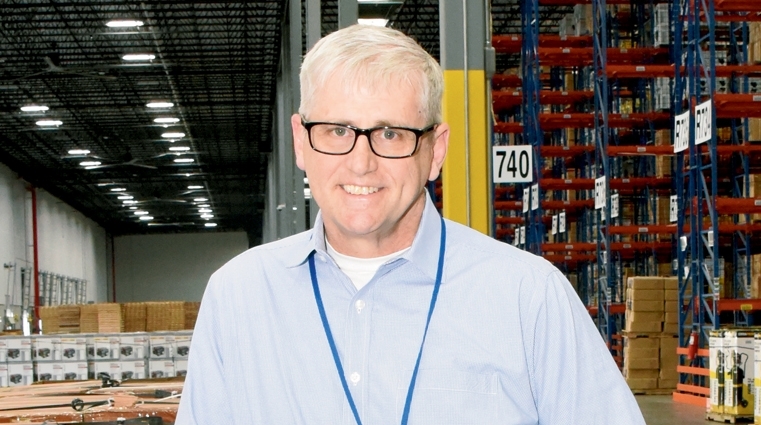 Robby Roberson, Vice President of East Coast Distribution at Harbor Freight Tools in Dillon, is passionate about his company’s support for cancer patients at the McLeod Center for Cancer Treatment and Research because he shares in that very personal journey. “I am a cancer survivor, so I have a real connection with the people the HOPE Fund benefits,” Robby said. 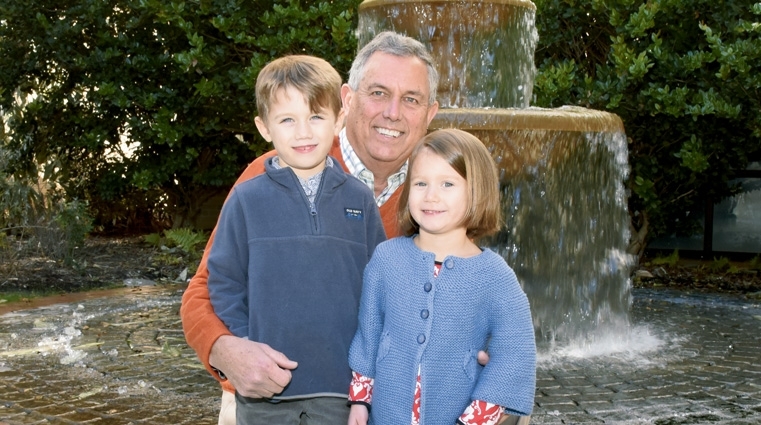 Robby understands the difficulty of coping with a diagnosis of cancer. He is aware of how nearly impossible it is to battle cancer if you lack the financial means. “There are so many who don’t have the sufficient financial resources available and we want to help them,” explains Robby. Harbor Freight shares Robby’s outlook on giving back. That support alleviates some of the burden of treatment and recovery. When Robby went to corporate leadership in California to get their blessing on sponsoring the event, it wasn’t a hard sell. Harbor Freight has provided major sponsorship for An Evening of Hope for several years. Robbie looks forward to continuing their partnership in this event for the benefit of McLeod cancer patients. Supporting cancer patients through the HOPE (Helping Oncology Patients Everyday) Fund remains very personal to my husband, Bernie, and me. It may be for you, too. You see, in 2005, doctors diagnosed me with Stage 4 Non-Hodgkins Lymphoma. Every cancer patient is unique, but many need a strong support system. My husband accompanied me to doctors’ appointments and tests. A good friend drove me to treatments. My faith family offered prayers and provided meals. Although we faced many difficulties on our journey through cancer treatment, we had the support and resources necessary to help me get well. We know others are not so fortunate. When Bernie and I heard about the HOPE Fund, we saw it as an opportunity to give in response to the blessings we received. All of us who support the HOPE Fund believe that no one should have to cancel treatment because they don’t have a ride to the hospital. Or, choose between buying pain medication or food for their children. these kinds of needs every day. Cancer patients need to concentrate more on getting well and worry less about money or how they’ll get to their treatments. Bernie and I know that our giftss, in support of the HOPE Fund, directly help others the way loved ones helped us. And, we know that your gifts do the same. No one wants to experience cancer. However, lessons learned through that experience can be utilized to help others. Though the HOPE Fund, we can all shine light and hope into the darkness. To learn more, visit mcleodhopefund.org. Sharing you gift of love. Thanks to your support, McLeod Regional Medical Center now offers 3D Mammography. Your generosity delivered the latest advancement in the fight against breast cancer fir the women of our region. Charisse and Mike Reichenbach stepped up to be one of the first to commit their support. 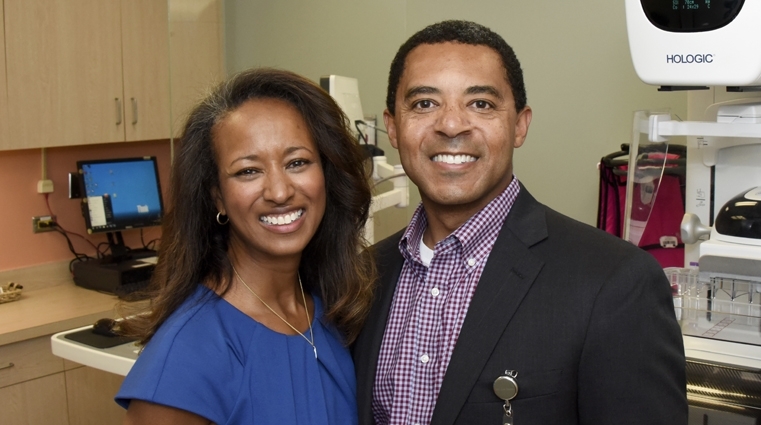 The Florence natives, who currently reside in Hilton Head, felt confident that the new life-saving technology would provide the best possible mammograms for women throughout our community. 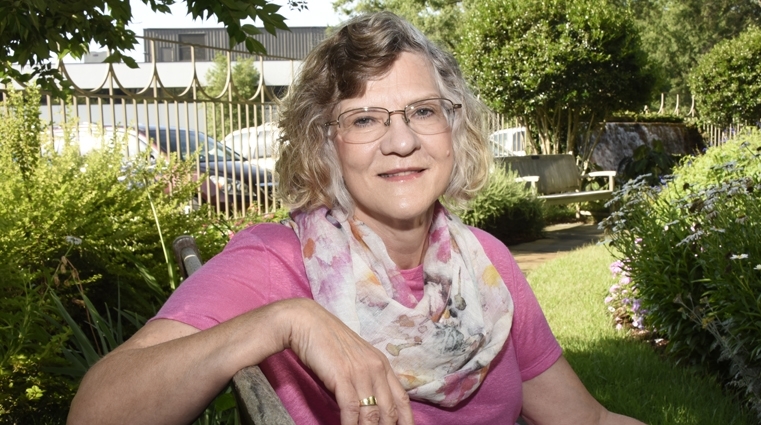 In fact, Charisse believes in 3D Mammography so much that she recently drove three hours from Hilton Head to McLeod Regional Medical Center in Florence for her own mammogram. “At McLeod, I know what to expect -- the best employees providing the best service with the best technology," Charisse explained. "Your gifts allow this great medical system to continue offering the highest quality of care for patients. Our patients deserve peace of mind. 3D Mammography gives them that. Through your gift of love, you have joined the fight against breast cancer." Communities are often defined by the people who strive hard to make their area a better place to live. 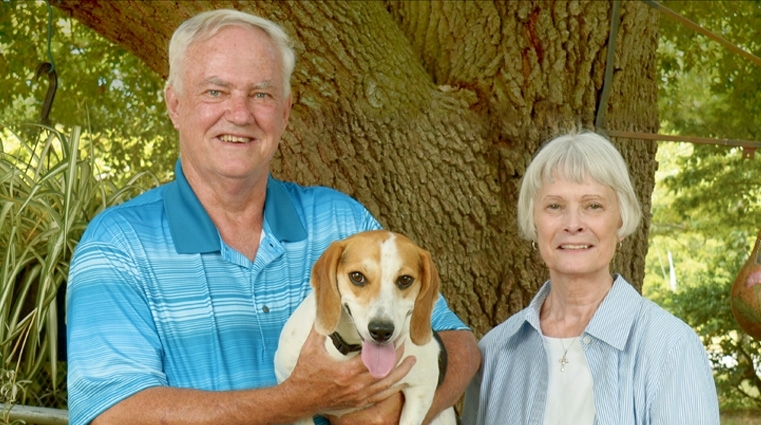 For Jim and Heather Smith, this is part of their personal and professional life’s work. 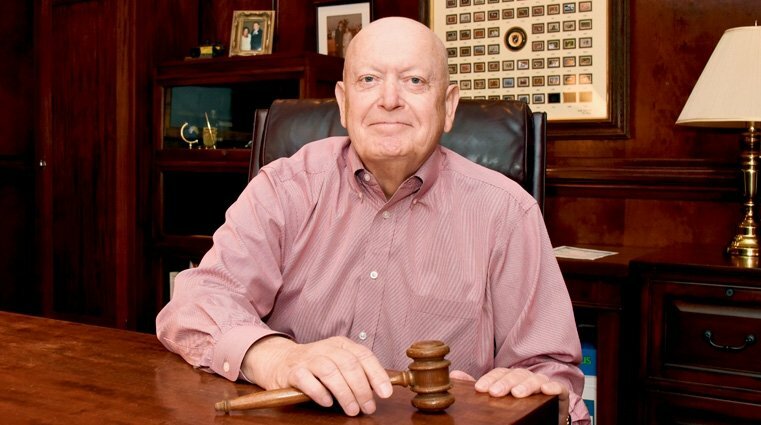 As President of Sandhills Bank, Jim has ensured that the bank is an integral part of the fabric of the community. From high school athletics to the local chamber of commerce, Sandhills Bank is engrained in the heart of what supports the north end of Horry County. Since 2000, Sandhills Bank has served North Myrtle Beach as a small community bank, and has been dedicated to supporting the McLeod Health Foundation. The bank’s commitment to the McLeod Foundation has grown as the bank has continued to expand. In 2016, the McLeod Foundation established the Cancer Benefit Golf Classic to support the HOPE (Helping Oncology Patients Everyday) Fund at McLeod Seacoast. Jim was one of the first supporters to sign on as a lead sponsor for the event. In 2017, Sandhills Bank returned as the Presenting Sponsor of the event. Through this sponsorship and Jim’s leadership on the golf tournament committee, the McLeod Foundation has been able to provide valuable funding to cancer patients in need of transportation, medication, nutritional support or other immediate needs they may face during their cancer journey. Jim’s personal commitment to the McLeod Foundation extends from the golf committee to the Fellow’s Program and service on the McLeod Seacoast Foundation Board. From this unique perspective, he has gained a greater understanding of the needs throughout the hospital and how donations to the Foundation can make a significant impact. Likewise, Jim’s wife, Heather, continues to leave her mark as a committed volunteer for the McLeod Foundation. From decorating to sponsorship committees for various events, Heather has served as an ambassador for the McLeod Foundation and ardent supporter of the hospital. The ties between their family and the hospital run deep. Both of their children have received care at McLeod Seacoast. Together, Jim and Heather have made their own personal commitment to the McLeod Foundation to support 3D Mammography at McLeod Seacoast. Once again, they were one of the first to respond and make a pledge of support in memory of Jim’s mother, Sara Smith. As Jim and Heather continue their charitable spirit of giving, they hope others will be inspired to support the work of the McLeod Foundation. They realize that investing in health care – one of the most essential services in any region – is a meaningful way to positively impact the community. Cancer Survivor. To those who have journeyed through this diagnosis and treatment, these two words hold great meaning. Many cancer survivors also feel tremendous gratitude for the physicians and staff who have cared for them. Research has shown that expressing appreciation may be one of the simplest ways to feel better. Helping others in need has also been linked to a person’s ability to cope with stress, recover more quickly from illness, lower blood pressure and improve immune function. 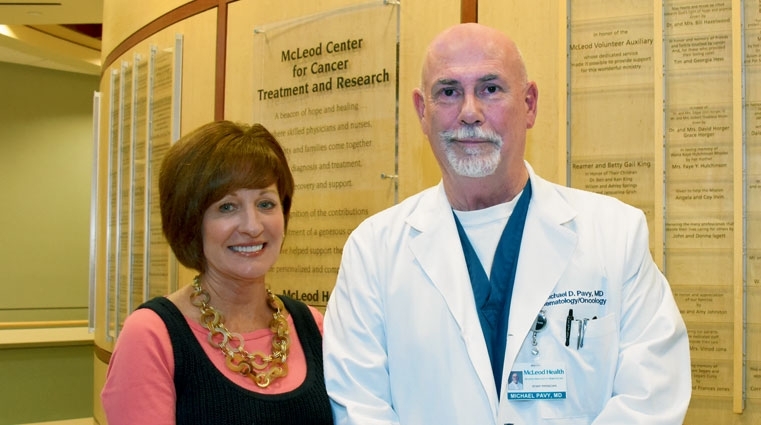 Understanding the relationship between giving and healing, Dr. Michael Pavy and the McLeod Center for Cancer Treatment and Research have joined with the McLeod Health Foundation to connect grateful patients with the HOPE (Helping Oncology Patients Everyday) Fund. “There are so many challenges treating cancer patients that standard medical care and health insurance cannot meet,” explained Dr. Pavy. For the past three years, Dr. Pavy has authored a letter to donors and patients to make them aware of the pressing needs of McLeod patients undergoing cancer treatment. Through this correspondence, he has given them the opportunity to directly help meet patient needs by making contributions to the HOPE Fund. A popular speaker for the McLeod Foundation with vast experience, Dr. Pavy presents messages of hope, highlighting advancements in cancer care and improvements in survival rates. These programs are well received and educational. The HOPE Fund, led by Robin Aiken and the HOPE Fund Advisory Committee, is designed to directly benefit those who turn to the McLeod Center for Cancer Treatment and Research for help. This program addresses the unique needs of the cancer patients and their families. The Advisory Committee, comprised of clinical staff and community volunteers, is charged with identifying needs and ensuring donor contributions are spent effectively. “We have been blessed to accomplish so much since the Hope Fund was established in 2014,” said Robin. The pairing of a well-respected oncologist with the team who manages the HOPE Fund has created synergy, apparent through the generous contributions that support this mission. In the eyes and hearts of cancer patients, champions of hope include physicians, staff, volunteers and donors. Leading by example, the late Marilyn Godbold began her career with McLeod Regional Medical Center as a volunteer. In 1987, she accepted the role of Director of Volunteer Services, a position she treasured for 28 years. She enjoyed cultivating volunteers and encouraging them to support the programs and services funded by the McLeod Health Foundation. During Marilyn’s tenure, the McLeod Volunteer Auxiliary contributed $2.4 million to the McLeod Foundation from 1990 to 2015. Marilyn saw the volunteers’ generosity to the Foundation as an extension of their efforts to serve others. The volunteers gave back to the Foundation to help support such areas as the McLeod Children’s Hospital, the Neonatal Intensive Care Unit, the Pediatric Intensive Care Unit, the McLeod Center for Cancer Treatment and Research, the McLeod Hospice House, the McLeod Mobile Mammography Unit and the Guest House at McLeod. They also established scholarships to aid local students seeking careers in health care. 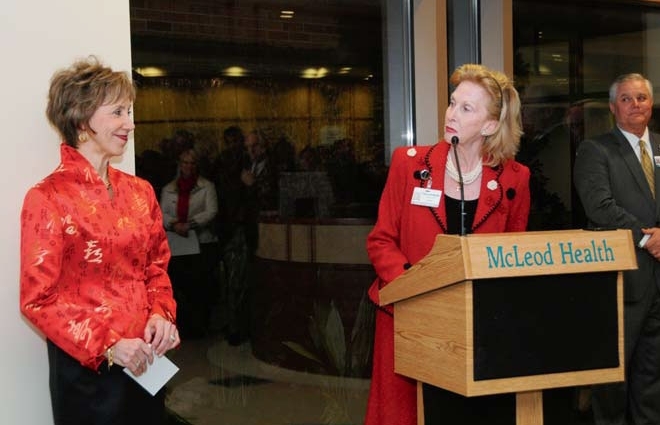 Marilyn personally supported the McLeod Foundation for three decades, including naming of one of the private patient rooms in the Infusion Therapy area of the new Cancer Center. The gifts Marilyn designated to the McLeod Center for Cancer Treatment and Research over the years became even more meaningful to her in 2012, when she was diagnosed with Non-Hodgkin’s Lymphoma. Dr. Pavy understood what the Godbolds were going through and made the necessary appointments for them in Texas. He also forwarded all of Marilyn’s records for their review to minimize any duplication of efforts and costs. While receiving treatment for cancer, Marilyn continued to work and give back, serving as one of the first members of the HOPE (Helping Oncology Patients Everyday) Fund Advisory Committee. Marilyn and Asa also annually supported the McLeod Foundation through the Chef & Child Dinner and Auction for the McLeod Children’s Hospital as well as An Evening of Hope, the annual cancer benefit for the McLeod Cancer Center. Two years after retiring from McLeod, Marilyn passed away in September of 2017, battling cancer for five years. Knowing how much the HOPE Fund and the McLeod Cancer Center staff meant to Marilyn, Asa chose to designate Marilyn’s legacy estate gift to the HOPE Fund. In honor of Marilyn’s estate gift, the McLeod Health Foundation has dedicated the fountain in the McLeod Center for Intensive Care garden in her memory. The efforts of one person can have a significant impact on the lives of others. But the combined contributions of many can continue to touch lives for generations to come. n example of this level of generosity is the One Vision, One Future Campaign for McLeod Health, the largest capital campaign in the history of the McLeod Health Foundation. Philanthropic funding was an essential element in the plans and nearly 1,200 donors from across the region and beyond responded generously by contributing more than $6.5 million dollars to the campaign efforts. Named One Vision, One Future, it encompassed three major projects: the campaign enabled the McLeod Foundation to fund the new Emergency Department at McLeod Dillon, the McLeod Hospice House Addition and the new McLeod Center for Cancer Treatment and Research. “We wish to express our deep gratitude and appreciation to the caring donors who helped make these projects possible as well as the numerous volunteers who worked tirelessly to share the value of improved services, new technology and enhanced patient environments that would be available to all seeking cancer, hospice or emergency care in our region,” said Beverly Hazelwood, Co-Chair of the One Vision, One Future Campaign. Dedicated to the physical and emotional needs of cancer patients and their families, the McLeod Center for Cancer Treatment and Research is a beacon of hope and healing for the communities McLeod serves. As one of the most patient-centered environments, the Center has been designed to offer the highest quality, individualized care with convenient access to all cancer services and care. The Cancer Center offers natural light, a cascading water wall, garden views, and relaxing furnishings to inspire, sooth and comfort patients and family members. Patients can also easily manage their physician appointments and infusion or radiation treatments all in one location. In addition, they can participate in cancer research and meet with an oncology navigator or social worker without ever leaving the center. New technology in the Cancer Center includes installation of the most modern, up to date, state-of-the-art linear accelerator – making McLeod the region’s only facility capable of performing Brain and Body Stereotactic Radiosurgery, a radiation therapy procedure that uses special equipment to position the patient and precisely deliver a large radiation dose to a tumor in the brain or body over a shorter amount of time and with fewer treatments. For example, using traditional technology in the treatment of stereotactic cases, a brain tumor treatment may take 45 minutes or longer to image and treat a patient. With the new linear accelerator, similar cases will require less than 15 minutes to perform the same treatment. McLeod is one of only two centers in the state that can offer patients this level of treatment – the other hospital is located in the upstate. Responding to the needs of the community, McLeod Health completed construction of an additional 12 inpatient rooms for the McLeod Hospice House in 2012. The expanded facility now offers 24 inpatient rooms. In addition to the new rooms, the expansion included two family comfort areas and additional office space. A new Meditation Garden was also created adjacent to the additional patient rooms to offer patients and families an area of respite. An organized effort was led by the McLeod Foundation to raise funds in the Dillon community to improve and enhance the McLeod Dillon Emergency Department in 2011. The renovation and construction project included a 9,365 square feet expansion to the Emergency Department. The new design featured 17 new exam and treatment rooms, including designated triage and trauma rooms, a decontamination area, and staff support spaces. A new family waiting area is also allowing for improved privacy and safety. Expressing one’s self through art is often seen as a gift only pursued by those with talent. Yet, the use of art can serve many purposes. It can help a person struggling to express their feelings or cope with a diagnosis. Art is also considered a great stress reliever. Uniquely aware of the benefits of art for cancer patients and caregivers, Cancer Survivors Raquel Serrano and Harriet Jeffords and Chaplain Stuart Harrell approached the McLeod Health Foundation for funding to establish an arts-based support group. 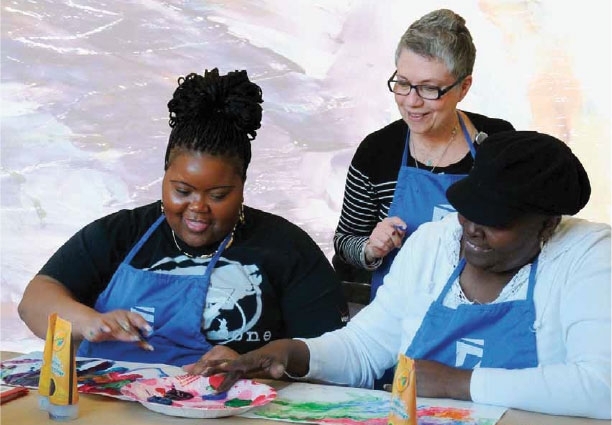 The result of their efforts is Artful Expressions, a new McLeod Cancer Support Group held at 2 p.m. on the second Thursday of each month at the Florence County Museum. “At times, cancer patients often do not have the self-awareness to recognize these emotions or are hesitant to express them because they feel they should just be grateful to be alive. This program is an effort to help patients manage these feelings of distress, which affect the whole person – body, mind and spirit,” said Serrano. Each monthly support group session lasts two hours providing time for introductions, creation of artwork and discussion, according to Serrano. The art projects also involve different mediums including drawing, mixed media, journaling and scrapbooking to allow cancer patients to use creativity to express their emotions. In addition, the group facilitators are incorporating supportive themes with the art lesson each month such as fear of recurrence, body image, financial concerns, finding meaning, and sharing the individual’s journey. Benefits of participation in the support group for patients and caregivers include a reduction in stress, anxiety, and symptoms of depression; improved self-esteem and overall feelings of self worth; an increase in social and communication activities; and more energy. Thanks to sponsorship by the McLeod Foundation, the Florence Regional Arts Alliance and the Florence County Museum, there is no cost to attend the sessions and supplies are provided. For more information on Artful Expressions, please contact: Raquel Serrano at (843) 777-5695. Many patients find themselves overwhelmed after receiving a diagnosis of cancer. They must also begin to cope with the magnitude of the appointments, tests, and treatments they require to improve their health. Sometimes, that concern extends to transportation. The McLeod Foundation and its donors support a program called Loving Initiative for Transportation that gives these patients a lift in their cancer journey. Transportation to a doctor’s appointment, scheduled treatment for radiation or chemotherapy creates anxiety for many cancer patients. A lack of transportation for scheduled appointments is a barrier to the successful treatment of a cancer patient’s disease. “Consider, for example, a radiation patient who must receive treatment seven days a week for six weeks. Without transportation, this is not possible,” explained Raquel Serrano, the Certified Oncology Social Worker for McLeod Cancer Services. One patient impacted by the LIFT program is Sarah McElveen, who was raised in Pamplico along with ten brothers and sisters. She is the sixth of her siblings to be diagnosed with cancer. When Sarah was informed that she had both colon and breast cancer, her surgeon, Dr. Amy Murrell, explained to her that she would need six weeks of radiation therapy treatment. Sarah, who has a naturally positive outlook, knew she needed help. She did not have a car or money to afford the daily trips from Pamplico to Florence for the life-saving treatments. Sarah shared her concern with Dr. Murrell’s office. Through the assistance of the McLeod Radiation Oncology staff, Raquel was contacted to help Sarah with transportation. The Loving Initiative for Transportation (LIFT) Program provides assistance to patients diagnosed with cancer who do not have any other form of transportation in order to receive their cancer treatments. The program provides assistance by a contracted driver, gas vouchers, taxi vouchers or shuttle services. LIFT is funded entirely through generous gifts to the McLeod Foundation. “When you become sick and do not have the means to get well, you need help. I am so very thankful that McLeod had a program to help me,” said Sarah. Sarah recently celebrated the completion of her cancer treatment by ringing the bell in Radiation Oncology. This is a tradition that began in 2005 when Cancer Survivor George Bennett donated the commemorative bell to the McLeod Radiation Oncology Department. Sarah firmly believes that God provided for her care. She is also grateful for McLeod Foundation donors whose gifts made the LIFT program available for her and many others. Driven by a desire to make a difference in the lives of cancer patients, Robin Aiken is determined to give hope to those in need. Robin wanted to bring a program to McLeod similar to the one she experienced first hand in the North Carolina hospital where her older sister, Wana Kaye, received treatment for pancreatic cancer. Robin and her family made numerous trips to the hospital located near Wana Kaye’s home in Pinehurst between 2003 and 2006. 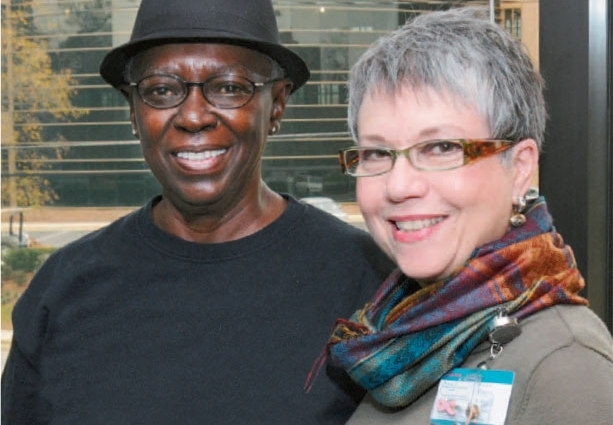 “During my sister’s treatment, my family and I witnessed the counseling, assistance and companionship the hospital’s Cancer Patient Support Services team provided to patients from all walks of life,” said Robin. A new member of the McLeod Health Foundation Board of Trustees, Robin serves on the grants committee. In reviewing the requests from the Cancer Center, Robin learned that the oncology staff often struggled to fund immediate cancer patient needs. “This program is designed to address the unique needs of cancer patients and their families. We established the HOPE Fund through the McLeod Foundation to manage funding for oncology patient support services and to provide oncology staff with easier access to immediate assistance needs,” Robin explained. Robin also worked with the Foundation to create an advisory committee of community members who have been touched by cancer either as a patient or caregiver. 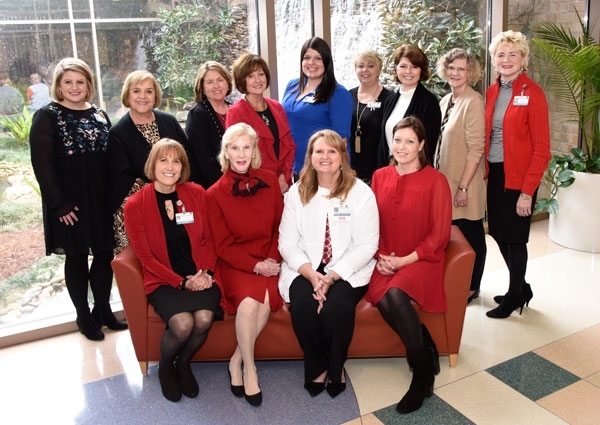 The HOPE Fund Advisory Committee began in 2014 with these committee members: Aiken who serves as Chair; Frances Bethea; Janet Brand; Susan Burley; Deb Colones; Audrey Gilbert; Beverly Hazelwood; Amy Johnston; Linda Mallick; Shirley Meiere; Ann Rodgers Chandler and Linda Russell. The committee also includes representation of McLeod staff members including Judy Bibbo, Vice President of Patient Services; Lisa McDonald, Director of Outpatient Oncology Services; Marilyn Godbold, Director of Volunteer Services; Jill Bramblett, Foundation Executive Director; and Roxanna Tinsley, Foundation Development Officer. “Each of these individuals has shared their own experience with us and helped provide direction as we started this process,” said Robin. 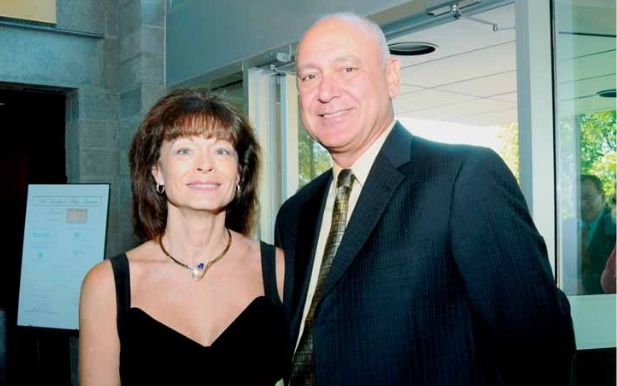 In order to get the HOPE Fund up and running, Robin’s mother chose to gift a portion of her IRA to the McLeod Health Foundation in memory of Wana Kaye, in order to help cancer patients in her community. Since their first meeting in October, Robin and several members of the advisory group have also contributed and helped secure significant donations for the fund. A Volunteer Coordinator who will recruit, train and schedule volunteers to serve in the Cancer Center. The volunteers will be available to help with wayfinding, assist visitors in the Cancer Center Library and provide patients with items from the HOPE Cart. Comfort Trays for the inpatient unit to provide food and drink items for families who do not want to leave the bedside of loved ones. A Hope Cart for the inpatient unit allowing volunteers to offer magazines, books, headphones and snacks to patients and family members. Educational manuals for patients diagnosed with brain tumors. Liquid nourishment supplements to stock a Patient Home Nutrition Closet for patients who are undergoing treatment for head, neck and esophageal cancers. An Immediate Needs Fund for patients who cannot afford what they need to get well, such as: dentures, transportation assistance, home medical equipment or medication. “We have been blessed to accomplish so much already. The opportunity to make real, tangible differences in the lives of cancer patients is encouraging us to act quickly and decisively to provide assistance for patients who often have no where else to turn,” said Robin. The McLeod Foundation has embarked on “It’s Time,” a capital campaign for McLeod Health. This continues a commitment to excellence inspired by Dr. F. H. McLeod in 1899 when his vision for the Florence Infirmary began. Support will help with the provision of the latest technology with 3D Mammography and Neonatal Intensive Care Unit (NICU) Monitors in addition to funds to supplement costs of construction for a new Emergency Department at McLeod Regional Medical Center. These important enhancements will ensure that McLeod Health offers the highest quality care to patients from the midlands to the coast. Debi Kalaritis, a 16-year breast cancer survivor, knows firsthand the power of technology in detecting breast cancer. In 2001, after accidently scheduling her mammogram five months early, Debi learned she had breast cancer. 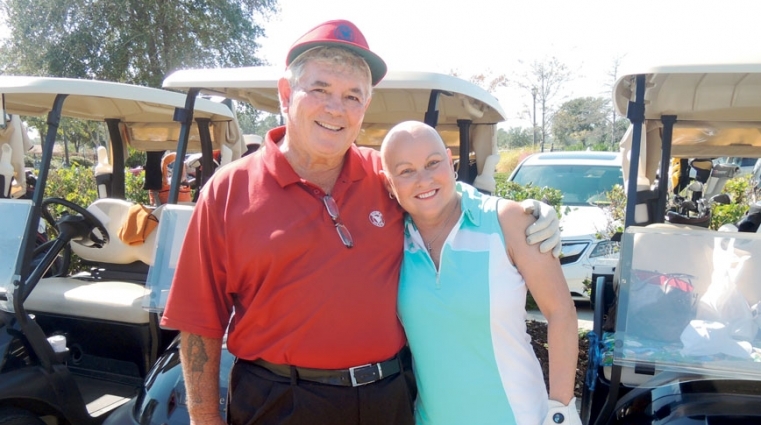 After a mastectomy and six months of chemotherapy, Debi was cancer free. Today, she and her husband Panos are supporting the McLeod Foundation’s capital campaign to bring 3D Mammography to McLeod. “Panos and I believe that the technology in ‘first generation’ mammography may have missed my cancer; however, early, effective digital detection was critical to my survival. We want to ensure that other women in the region have an even better option for early detection and treatment of breast cancer,” added Debi. 3D Mammography is a new screening and diagnostic breast imaging unit that improves the detection of breast cancer. Using 3D technology, an X-ray arm moves over the breast and takes multiple images in seconds. Traditional digital mammography takes two-dimensional images of the breast. With 3D images, the radiologist can examine the breast tissue one thin layer at a time, detecting invasive cancers at earlier stages and ultimately saving lives. Another advantage of 3D Mammography includes a 40 percent reduction in the call back rate, sparing women the anxiety, inconvenience and cost of returning for further imaging studies. 3D also provides a more precise identification of the tumor and its location. The expansion of cancer care on the coast is being enhanced with the addition of a unique program designed to support patients undergoing cancer treatment. In the fall of 2014, the HOPE (Helping Oncology Patients Everyday) Fund was established at the McLeod Center for Cancer Treatment and Research for cancer patient support services such as medication, transportation and nutrition assistance as well as to provide the oncology staff with improved access for the immediate needs of their patients. 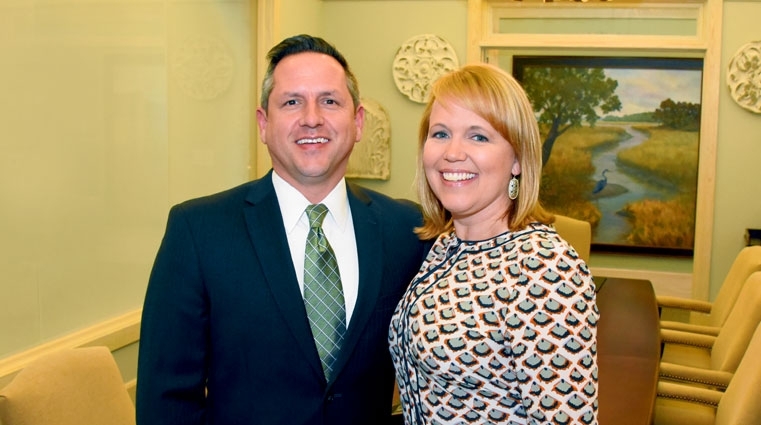 HOPE Fund Advisory Committee members and donors to the Annual An Evening of Hope Cancer Benefit raised nearly $667,000 to support the needs of cancer patients receiving care at the McLeod Cancer Center in Florence. With the addition of cancer services at McLeod Seacoast, a HOPE Fund has now been established on the coast. The arrival of Dr. Stewart Sharp to McLeod Oncology and Hematology Seacoast and the opening of the expanded infusion wing in the Same Day Services Suite supported the founding of the HOPE Fund at McLeod Seacoast. The 11-chair infusion area meets the needs of the growing community that McLeod Seacoast serves, and offers convenience and access to infusion care for patients. Infusion therapy involves medicine, nutrients or special fluids delivered through a needle directly into the body, such as chemotherapy. The McLeod Foundation Advisory Board at McLeod Seacoast established a golf tournament to raise money for their HOPE Fund. The inaugural McLeod Seacoast Cancer Benefit Golf Classic presented by Atlantic Urology Clinics raised more than $70,000 to benefit the HOPE Fund. The two-day event was held in October at the Grande Dunes Member’s Club in Myrtle Beach, South Carolina. In addition to the two-day golf tournament, the “Cancer Classic Cocktail Party” presented by Sandhills Bank was hosted on Friday night for the golfers and guests with a gourmet dinner, silent auction and live music by the band, Tru Sol. Cancer Survivor Alice Ziriada also shared her personal journey with cancer during the event and encouraged all attendees to remember those fighting cancer and to support the work of the HOPE Fund. Proceeds from the golf classic have gone into the HOPE Fund to assist patients who have financial barriers to care. Without the HOPE Fund, McLeod Seacoast would not be able to offer patients transportation to treatments, assistance with pain and nausea medications and specialized nutrition. The fund also supports volunteer programs and educational resources for cancer patients and families. One of the volunteer programs made possible by the HOPE Fund is the addition of the HOPE Cart. During chemotherapy treatments, a McLeod Seacoast Volunteer visits with the patients and offers them snacks, reading materials, puzzle books, blankets made by community groups and other items they may need from the HOPE Cart to make their treatment sessions more comfortable. The Foundation also administered HOPE Fund dollars to purchase a HOPE Bell for patients to ring at the completion of their chemotherapy treatments. At the conclusion of her treatment for lymphoma, Wendi Parnell became the first patient to ring in this tradition at McLeod Seacoast. The bell symbolizes the end of the treatment journey for one patient and serves to inspire other patients currently receiving treatment. Countless cancer patients benefit from the establishment of the HOPE (Helping Oncology Patients Everyday) Fund in October of 2014. The advisory committee ensures that generous donations to the HOPE Fund are designated for cancer patient support services and any immediate needs a patient may have. They also support the Cancer Center’s volunteer program and educational resources for patients and families. Lauren Snipes joined the McLeod Cancer team as the HOPE Fund Coordinator in the Fall of 2016. This was a dream come true for the HOPE Fund Advisory Committee. Since the inception of the fund, the committee desired to have a personal point of contact in the McLeod Center for Cancer Treatment and Research to ensure all cancer patients are made aware of the resources available to them. Based out of the HOPE Resource Center, Lauren meets with each new cancer patient on their first day of treatment. In addition to offering guidance and answering any questions or concerns they may have, she secures resources for patients such as transportation, medication or nutrition assistance. Conveniently located on the concourse of the Cancer Center, the HOPE Resource Center houses a variety of tools to assist patients in better understanding their diagnosis, side effects of treatment and long-term survival issues. The center also serves as a resource to family members, caregivers, survivors, community members, students and staff. Another project near and dear to the committee’s hearts involved the impact a patient’s appearance can have on them during their cancer journey. Understanding these image concerns led the advisory committee to establish the “We’ve Got You Covered” program in early 2016. “We’ve Got You Covered” provides McLeod cancer patients who will experience hair loss with a $100 gift certificate for a head covering of their choice from the Inspirations Gift Shop in the McLeod Cancer Center. The head coverings offered include wigs, scarves, hats and caps which can serve to help patients feel more confident about their appearance during cancer treatment. Through Lauren, the HOPE Resource Center, and the image program, donors to the HOPE Fund continue to positively impact the lives of cancer patients with hope.